Freedom Is Ltd. was formed in 2007 with the purpose of bringing high quality bed linen products to the leisure market, backed up by unrivalled levels of customer service. 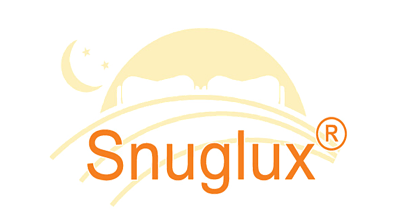 We produce the Snuglux range of bed linen and we have become the UK's premier supplier of tailor made, luxury, shaped bed linen for your caravan, motorhome, or boat. Designed to fit your bed perfectly whatever its shape or size, we offer the highest quality and comfort for a perfect night's sleep. In addition to traditional duvet sets, shaped to fit, we produce the unique Snuglux duvet sleeping bag, designed to combine the warmth and comfort of a sleeping bag with the practicality of a duvet cover. The Snuglux duvet sleeping bag is available in standard size or shaped for fixed beds. Our values are Quality, Elegance and Choice. All of our products are designed and hand-crafted in the UK from a range of beautiful fabrics. What's more, they are individually designed to fit your bed perfectly, whatever its shape and size. We have exhibited at various Motorhome and Caravan shows, including the Spring Caravan and Camping Show and the Motorhome and Caravan Show at the NEC, at which our products are also on display in Coachman Caravans, Broad Lane Leisure's Fairway Caravans and Glossop Caravans. The company Managing Director is Adrian Stoker. Company No. 6424710. VAT Registration No. 993825957.